Spring loaded hinges can hold a door, panel, etc. in the open or closed position, adding a new level of functionality. Springs of any material, finish and torque are available in order to provide the tension you need in your hinge. We can source standardized springs, and even the most complex springs for your design, due to our long-standing trusted relationship with local partners in spring design and manufacturing. 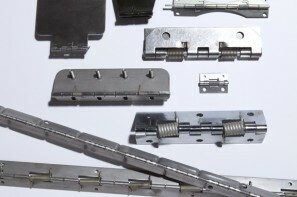 Spring loaded hinges are available in any material and finish. 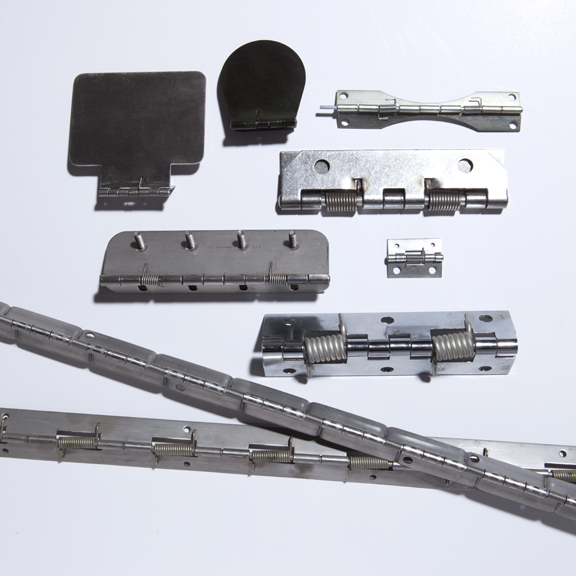 All other aspects of hinge customization, such as hole piercing, swaging, forming, etc. are also available for your spring loaded designs.